Hello! Well the toasty slog through July continues here in our neck of the woods. Staying inside with the AC crafting sounds pretty good. ;-) I was in an art journaling mood so I whipped up a page in my steampunk art journal. I have a whole box of leftover 'bits and pieces' from other projects. 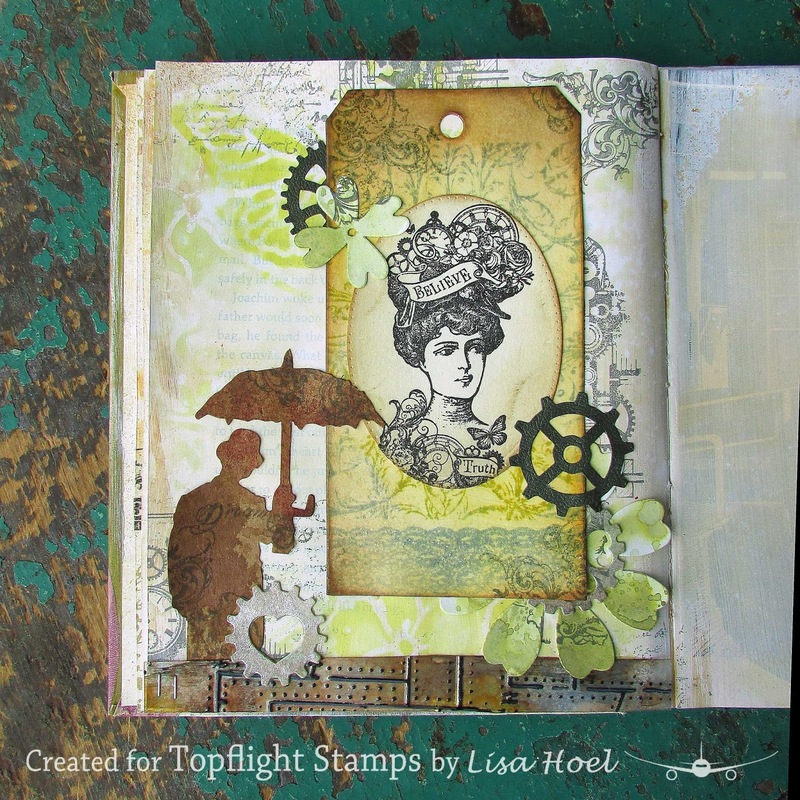 It's fun to rummage around and use parts from it in journal pages like this. I guess you can call it art recycling lol.